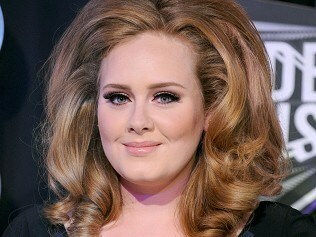 She has been pencilled in to appear at Wembley Arena for the finale of the ITV1 series next month. However the date depends on whether she has had enough time to recover from the operation she underwent in the US earlier this month to repair a vocal cord haemorrhage. She has already said she is "on the mend" in a blog recently. The condition led to a number of gigs being cancelled and had threatened to ruin her voice permanently. A programme source said: "She's one of the world's biggest stars so we'd love her to perform at the final - we are just hoping she recovers in time." The X Factor final takes place on December 11, with a number of other big name acts being lined up. The X Factor quarter finals theme has also been confirmed - Guilty Pleasures and Heroes. All five acts - Little Mix, Janet Devlin, Amelia Lily, Misha B and Marcus Collins - will have to sing two songs on Saturday night for their survival. Tulisa Contostavlos's girl-group Little Mix have emerged as the bookmakers' new favourites to win the competition, over the past week.